Metra next month will launch a new initiative to help small businesses have a fair opportunity to do business with the agency and work on Metra projects. The Small Business Enterprise (SBE) Program is designed to increase the number of competitively awarded contracts to small businesses, maximize contract opportunities and minimize contract bundling. To qualify as an SBE, companies must: be an independent for-profit business; have an owner whose personal net worth is $1.32 million or lower; meet the Small Business Administration’s size standard, and not exceed $23.98 million in gross annual receipts. Companies that are DBE-certified will be eligible to participate in the SBE Program since DBE businesses are also viewed as small businesses. The SBE Program is race- and gender-neutral, consistent with Metra’s goal to ensure that businesses of all types and sizes have the opportunity to participate in its projects. 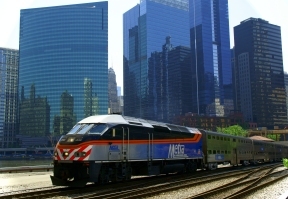 Businesses that wish to become verified as a small business under Metra’s SBE Program should visit www.metrarail.com to download an application. On average, Metra’s SBE verification process is expected to take 60 to 90 days from the time the agency receives the application and all required documents.